Of Hyde Park, passed away peacefully on Monday morning April 1, 2019, at the Carney Hospital in Boston, at the age of 94. 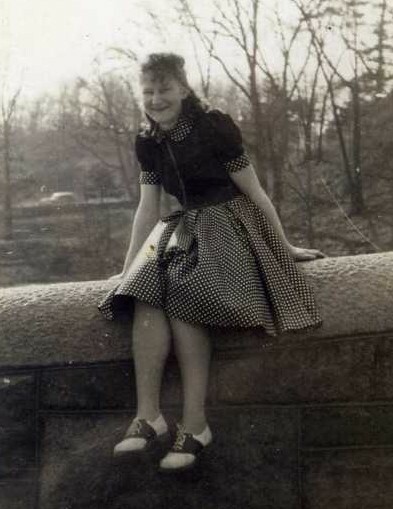 Born on June 14, 1924, in Boston; Helen was raised in Boston and has been a resident of the Hyde Park for over 60 years. Helen was a devoted member of Saint Pius X Parish community in Milton and a member of the Catholic Daughters of America. She had a love of nature, the outdoors, gardening, planting flowers, and birds. For years she spent time camping with her husband at Indian Ranch in Webster. She had such a love of dancing and was always the "life of the party". Family was the most important aspect of her life, especially her grandchildren. She loved spending time surrounded by family & friends. Beloved wife of the late Joseph A. Mulligan, Sr., Helen is survived by her devoted & loving son Joseph A. Mulligan, Jr. & his wife Margaret "Peg" Mulligan of Randolph. Cherished grandmother of Joseph A. Mulligan III, Craig B. Mulligan, Erin J. Mitchell and Kristen L. Hanafin. Adoring great grandmother of Noah and Braden Mulligan, Ada Mitchell, and of Michael and Kolby Hanafin. In addition she is survived by many nieces & nephews. Dear sister of the late Simon, Mary, Anna and Vera. Visiting hours at the Pushard Family Funeral Home, 210 Sherman St., Canton, on Thursday, April 4th from 4-8 PM. Relatives and friends are respectfully invited to attend. A Mass of Christian Burial will be celebrated on Friday at St. Pius X, 101 Wolcott Rd., Milton at 10 AM. Interment will follow at New Calvary Cemetery in Boston. In lieu of flowers, please consider a donation in Helen's name to St. Pius X Church, 101 Wolcott Rd., Milton, MA 02186.